Boosting your confidence and restoring natural-looking beauty, a smile makeover is a comprehensive plan that addresses any and all of your aesthetic concerns. During a personalized consultation with Dr. Kohler, you will explore the many cosmetic procedures we offer and determine which are right for your schedule and budget. We go the extra mile to help you choose the best treatment—or combination of treatments—to give you the healthiest and most attractive smile possible. Invisalign® and Laser Gum Reshaping: If you have a crooked smile, the problem may not only be your teeth—an uneven gum line may affect it as well. By combining Invisalign® and laser gum reshaping, Dr. Kohler can give you a straighter, more symmetrical smile. Typically, he will prescribe Invisalign® first (treatment times vary from patient to patient). Once your Invisalign® treatment is complete, Dr. Kohler uses a state-of-the-art laser to trim away a small layer of gum tissue, sculpting a smooth and uniform gum line. Porcelain Veneers and Dental Bonding: Porcelain veneers and dental bonding provide similar effects, reshaping teeth and concealing flaws. However, not all patients are good candidates for veneers alone. 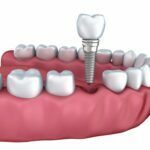 Fortunately, by combining veneers and bonding, we can augment your entire smile. Dr. Kohler uses the latest materials, ensuring that the porcelain and the bonding’s composite resin harmonize with each other. 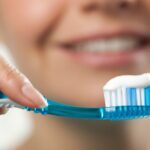 Teeth Whitening and Dental Crowns: If you have some severely damaged teeth, and want to improve the overall look of your smile, professional teeth whitening and dental crowns may be a suitable combination. 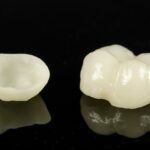 Crowns can can correct misshapen, worn, or disproportionately small teeth. They can also cover severe staining that is unresponsive to whitening. In most cases, we whiten your teeth first to ensure that your crowns match the new shade of your teeth. After whitening, we provide you with custom-made crowns.